Who, or what, is AKB? It's the initials of Ali Karim Bey, James Bond's ally in Istanbul, head of Station T in From Russia with Love. 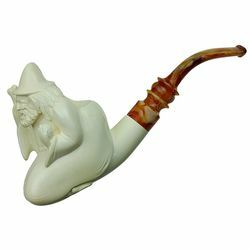 And beyond that, it is also the chosen name for a brand of quality Turkish meerschaum pipes - this one. 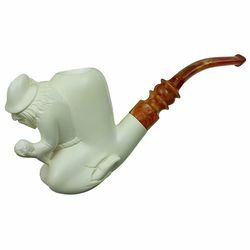 From simple, smooth classics to ornate motifs, to detailed figural carvings, all rendered in genuine block meerschaum, AKB has you covered.